HRH the Crown Prince opens the ceremonial curtain, to reveal the RVYC signboard inaugurating the new clubhouse. In what was a thoroughly regal affair, HRH Crown Prince Vajiralongkorn last Thursday officially opened the splendid multi-million baht new Royal Varuna Yacht Club, built on its choice seaside property at Kasetsin Beach, South Pattaya. 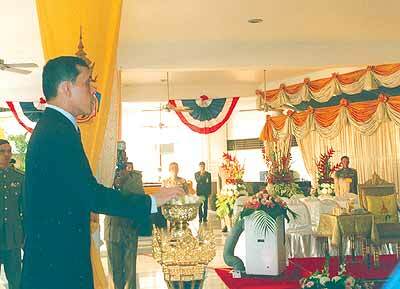 Before an assembled crowd of ministers, Royal Thai Navy officers, Palace and Pattaya City officials, and a large number of Royal Varuna members, including a number of past club commodores, HRH the Crown Prince activated the ceremonial curtain, revealing the Varuna logo, thus officially opening the club. Led by Royal Varuna founder Walter L. Meyer and 24th Flag Commodore, Santi Kanchanapundhu, the Varuna membership presented HRH the Crown Prince with materials on the club development and pertinent history. Then the Prince moved over to a new Laser dinghy, mounted on the beautifully-adorned club terrace, bedecked with flowers and the Royal Household insignia on yellow flags, and formally accepted this gift from Royal Varuna, carrying the Laser International number 181056. As HRH sprinkled the traditional lustral water and placed a garland on the craft’s bow, a magnificent Pattaya sunset cast a warm, golden glow over the most impressive ceremony. Along with First Commodore Walter Meyer (1957-1964), nine former Royal Varuna Commodores participated in the ceremonies, namely, in chronological order of their incumbency: sixth, Angelo Gualtieri (1972-1974); eighth, Albert Chandler (1975-1977); ninth, Bob Kennedy (1977-1979); 10th, Peter Cummins (1979-1980); 15th, Peter Herning (1989-1991); 16th, Peter Hudde, (1991-1993); 21st, Rut Subniran (1998-2000); 22nd, Don Mackenzie (2000-2002); 23rd, Robert England (2002-2004) and, of course, the present Commodore Santi Kanchanapundhu who took office in November 2004. Designed by Australian architect Peter Harper, this splendid facility not only advances and promotes yacht racing and marine activities in the Kingdom, but it also adds a classical dimension to the Jomtien-Pattaya city-scape. With its spectacular - yea, almost Roman - design, the Royal Varuna Club-house presents a spacious, open, gleaming white structure facing Koh Larn in the west, sitting atop a rolling expanse of green sward to the half-moon private beach lapping the shore. Once again, history was to play an important role in the annals of Royal Varuna. For example, sixth Commodore and present Honorary Treasurer, Angelo Gualtieri, recalled that it was on 14 September 1968 when Their Majesties, the King and Queen came to the present site to inaugurate the then-new clubhouse - 36 years ago. An even more significant parallel was in December 1969, when the Varuna membership presented His Majesty with a Fireball, to celebrate his birthday. The Fireball was, at the time, one of the sleek, fast racing craft, very popular world-wide. Now, 35 years later, the King’s son has been the recipient of one of the world’s most populous dinghies - the ubiquitous Laser, numbering some 200,000 in more than 60 countries. And to pursue this one step further, it is probably Princess Patcharakitiyapha, the daughter of the Crown Prince who will avail herself of the Laser, having come to Royal Varuna several times before, to go sailing in this type of craft, where she displayed considerable nautical skill, in spite of her youth. On the night of the official opening, with such a gathering of club elders and commodores (many featured in both these categories), the folklore - like the wine - flowed copiously. Tales of the early days (a Pattaya of yore that hardly anyone today would know) were vivid and both Walter and Angelo well recalled the magic days when all the Thai Royal Family - including the Crown Prince - would go sailing off the then Varuna Marine Club, on a pristine Pattaya Bay with translucent waters. Thereafter, a meeting was held at the then Cosmopolitan Restaurant on Sathorn Road with Roberto Maestrini, Robert (Rachiman) Gintzburger, HSH Bhisadej Rajani, Sid Watkins and Walter, to “launch” on the first of July, 1957, the Varuna Marine Club, dedicated to promoting all forms of marine and water sports. It was with much regret to learn of the passing of Rachiman, only recently. Bearing the club number one, Rachiman did not live to see the great accomplishment evidenced at the gala opening. The Royal Varuna Yacht Club, to celebrate its founding 48 years ago by Walter Meyer and the opening of its splendid new facilities by HRH Crown Prince Vajiralongkorn earlier this year, is the host venue for the annual charity yacht race: the PC Classic. With all sailing and social activities at the Royal Varuna on Saturday 26 March, the many competitors will be vying for the racing honours in their respective divisions but united, finally, in the overall aim of the regatta: to distribute all proceeds to the needy and disadvantaged children in Pattaya and around the Eastern Seaboard. The organizers, led by Chairperson Judy Hoppe, thank the many generous sponsors who have made possible the 2005 Pattaya Mail PC Classic Royal Cliff Beach Resort International Regatta, thus contributing substantially to bettering the lives of the less fortunate children around us. The day’s programme and timetable, starting at 12.00 mid-day are reproduced on page 3 in this supplement. All are welcome – sailors and non-sailors. 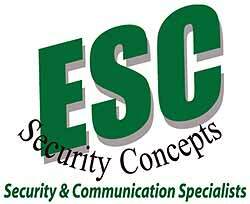 European Security Concepts (ESC) Security and Communications is the premier security and communications company, with branches in Pattaya, Chiang Mai, Hua Hin and Phuket. Monthly preventative maintenance inspection; 24-hour emergency repairs; electrical & plumbing repairs; air-conditioning filter cleaning. All rates include labour charges and are based on the property survey, half-yearly or annual rates, special ‘no-claim’ bonus and all quotations are free. General household repairs - One call property services; pool maintenance; air-conditioning; pest control; glazing; alarm systems; gardening; computer services. For our hard-wired burglar alarm systems (the only type we recommend), we use tried and tested equipment from major western manufactures, comprising magnetic door and window contracts and motion detectors. We will design a system for you, which will protect all possible points of entry to you property. For your added protection, smoke detectors, panic/emergency buttons, outdoors infrared beams and security lighting can also be linked to your system. Our system includes dual 120 db sirens, a strobe light and a back-up battery which will seamlessly take over the running of your alarm system in the event of a power cut, and then recharge itself when power is restored. The system is controlled through a simple-to-operate electronic numeric keypad, and up to 30 users can have their own 4-digit code number for added security. We supply and install complete fire alarm systems that comply with current government safety rules and regulations, for hotels, condominiums, and all types of residential and business premises. We supply and install a range of Electromagnetic Locks and Electric Bolt Locks operated via Access Control keypads using a code number or using swipe Cards or Proximity Cards, as well as Video and/ or Audio Intercom system for domestic premises, condominiums and business premises applications. We have a complete range of security lighting. Our most popular models are motion activated outside floodlights that help deter any would be intruders before they even attempt a break in. We offer a wide range of camera surveillance equipment for both domestic and business applications. Our CCTV systems can be computer controlled and allow viewing of up to 16 camera images on the monitor at one time. All images of movement are then recorded to hard disc for playback, CD burning, or can be used as evidence. With the relevant Internet connection, the pictures can also be viewed in “real” time from another location. Have you thought about security for your home and family? With home break-ins currently on the rise, the need for home security is now more urgent than ever before. We now live in a world where we must take action to protect our home and loved ones. We at European Safety Concepts can provide you with the best security systems available and customize them to your requirements. Our experienced installation staff professionally installs the latest in technology in burglar alarm, fire alarm and CCTV systems, all of which can be linked to our Central Alarm Monitoring Station. Our computerized monitoring station is monitored 24 hours a day, every day of the year, and in the event of your alarm being activated we will dispatch our own armed response team. Now you can feel safe & secure knowing that our team of armed & highly trained officers will respond to any alarms activated at your premises within 10 minutes. Take the opportunity of a free survey and question for a customized alarm system to protect your home and loved ones. Don’t be a victim … get alarmed! Product Range: Burglar alarm systems; Fire alarm systems; Access control systems; Security lighting and CCTV systems. ESC Property Services is offering professional maintenance services for the discerning property owner. All services are undertaken with European supervision, featuring written reports and photographs for the client via email. “Our contracted maintenance services are ideal for the owners of substantial property, rental properties & those who spend time abroad,” notes Steve Graham, Managing Director of ESC (Thailand) Ltd.
Commercial establishment can now save the expense of employing full-time maintenance staff. Property owners can now have peace of mind in the knowledge that our monthly preventive maintenance property inspections are keeping their holdings in first class shape. “Having difficulty in finding and communicating with local tradesmen?” Steve asks. “Try our One Call service, we will organize the right trades people for you,” he advises. As Governor of Chonburi Province, I am again happy to support the 2005 Pattaya Mail PC Classic Royal Cliff Beach Resort International Regatta, to be held on Saturday, March 26, 2005. In our efforts to rejuvenate and present a positive image of Pattaya to the world-at-large, this regatta emphasizes the best aspects of Pattaya, representing the resort as a family-oriented tourist location, especially for marine-related sports and activities. Supported by the award-winning five star hotel, the Royal Cliff Beach Resort, the best-English language newspaper on the Eastern Seaboard, the Pattaya Mail and many sponsors from both the public and private sectors, the event does much for Pattaya, Chonburi Province and, by extension, all of Thailand. Together with the officials from City Hall, the Tourism Authority of Thailand, the Royal Cliff Beach Resort, and the Pattaya Mail, our determined efforts to ameliorate the environment and quality of life in Pattaya are bearing fruit. The annual PC Classic yacht race is a great example of environmentally-friendly pursuits. It brings sailors from some 20 countries, as well as a large contingent of press and media personnel, all of whom carry the message of our beautiful city by the sea, its ideal year-round climate and warm waters, to the “four corners of the world”. The regatta and, indeed, the Royal Cliff Beach Resort beckon the ideal persons to come to our shores and enjoy world-class marine tourism, setting the example of clean, healthy activities which utilize Nature’s resources - the wind and the sea - leaving no pollution in the sea or on the coastline. This, to all of us, is the greatest benefit of such a regatta. In closing, I wish the organizers, the regatta sponsors and, not the least, the participants themselves, a most pleasant sojourn in and around our sparkling Gulf of Thailand. All concerned can rest assured of the full support of the Office of the Governor of Chonburi Province, to ensure a safe, exciting and colourful event, which brings great credit to all of us. Fallout from the tragedy of the tsunami is going to reverberate for a very long time throughout Thai society - especially for the clusters of coastal villages around the rim of the Andaman Sea which bore the full onslaught: families destroyed, homes lost, livelihoods gone. Our heartfelt sympathies go out to all of our compatriots as well as the many tourists who were caught up in the phenomenon, noting with much gratitude that many of our visitors who survived, rather than rush back to their countries of origin, stayed on to volunteer their services to help alleviate the suffering. From this tragedy we take courage and rejoice that the 11th Pattaya Mail PC Classic Royal Cliff Beach Resort International Regatta is on schedule to be sailed at Pattaya on the 26th of March 2005. Pattaya had reached a low point around the mid-1990s, when the environment and the quality of the seas and coasts had become very degraded. Since then, a remarkable resurgence, fuelled by the waste water treatment plants, beautification of the city by the Pattaya authorities, with such massive projects as placing the utility lines underground along Beach Road, has seen our beautiful city-by-the-sea coming back to life. In fact, TAT is greatly attracted to marine-related sports and activities and an event like this regatta is not only environmentally-friendly, but it is presents an exciting and most colourful panorama, right here off Pattaya’s shores. With both the Royal Cliff Beach Resort and the Pattaya Mail recipients of numerous awards and citations as a result of their vital concern for the environment, it is propitious that they are the major sponsors of this regatta. Sailing must be one of humanity’s activities, which is closest to Nature, utilizing only the wind and the water and leaving no pollution in its wake. There are two major winners of this Regatta, besides, of course the participants themselves, who triumph in their respective racing classes. Pattaya itself is a winner, for the extensive press and media coverage present a most favourable image of the resort city around the world, as a ‘paradise’ of marine sports and related activities, as well as a newer image of a family-oriented tourist destination. Furthermore, as in previous years, the disaffected and disadvantaged communities - especially the children - will all be beneficiaries of this event, with all regatta proceeds, including considerable sponsorship from the public and private sectors, being disbursed to the needy, through the offices of the Rotary Club of Jomtien-Pattaya. Thus, TAT gives total support to this regatta and welcomes the participants - men, women and children from some 20 countries - the sponsors and spectators who will crowd the Royal Cliff and the Royal Varuna Yacht Club waterfronts to enjoy the spectacle. In my capacity as Mayor of Pattaya City, I am very happy to support the Pattaya Mail PC Classic Royal Cliff Beach Resort International Regatta which will be sailed off Pattaya on 26 March 2005. Indeed, I feel proud that the five-star Royal Cliff Beach Resort and the Pattaya Mail play such a prominent role in affairs of our city, not only for their respective concerns for the environment but also - and, especially - for their leading roles in promoting eco-tourism in Pattaya and along the Eastern Seaboard generally. This is the 10th year and the eleventh sailing of this colourful and attractive event which this year will be held off and at the splendid new Royal Varuna Clubhouse, opened in January by HRH the Crown Prince. Royal Varuna, of which His Majesty the King is the Royal Patron, makes a very attractive addition to our rapidly developing cityscape. As in previous events, the press and media coverage will again present a most favourable image of our city, portraying the beauty of the sea, the coastline and the beaches. Pattaya has sometimes had to combat a bad image but, with the many improvements to the seas and the environment, particularly over the past five years and, as Mayor, I am determined that we shall have a “cleaner, greener” Pattaya as we progress through the next few years. Such events as this environmentally friendly regatta, which brings many visitors to our shores, makes a great contribution to our fair “city-by-the-sea”. I thank all the generous sponsors who also support this event and note, with pleasure that, as usual, all proceeds from the regatta will be donated to the less fortunate and needy of our region, under the aegis of the Rotary Club of Jomtien-Pattaya. I welcome all the participants, the men and women in their fast-moving catamarans to the boys and girls braving the elements in their tiny Optimist dinghies. The Office of the Mayor of Pattaya fully supports this Regatta from every perspective and we would like to ensure all concerned of a safe, friendly and fun-filled day on the waters of the Gulf of Thailand. Ambrose Wine Limited, a specialist wine company based in Thailand, was established in 1996 as an offshoot of Seagram Thailand. The company is owned by the Techapaibul family, which also constitutes the company’s Board of Directors, with Chawalit Techapaibul as the Executive Chairman. The Techapaibul family has been prominent in business and banking in Thailand for many years and was formerly a joint venture partner with Seagram in Thailand. Ambrose Wine Ltd. currently employs some 130 staff, with 20 in Sales and Marketing and 35 in Warehousing and Logistics. In addition, the company has a team of 50 in-store promoters who work as product consultants in leading retail stores throughout the country. Ambrose Wine has been a consistent supporter of the PC Classic, giving generous sponsorship for the event. Chawalit notes that he is “fortunate to have a strong sales team” and points out that, although the company is only nine years old, many of the staff have more than 18 years experience in the business. The sailors, supporters, sponsors and organizers of the 2005 PC Classic will be fortunate to have a large range of wines for their dining pleasure, perhaps some will be able to sample Chawalit’s most ‘memorable’ vintages: A Cheval Blanc 1947, a perfect wine and a Harlan Estate 1994 vintage, which, according to the Executive Chairman, “is an awesome experience for the taste buds”. Pongsak Tiamsuttikarn, Senior Sales Manager Upcountry, looks forward to the 2005 PC Classic and equates the excellence of a sailing event with Ambrose Wines: exciting, clean and healthy, enriching the lives of all who partake. Boon Rawd Brewery, Thailand’s first and largest brewery, was founded by Phraya Bhirom Bhakdi in 1933. The privately owned company has expanded and diversified under the visionary and innovative management of its founder into a renowned beer producer with annual production capacity of 800 million litres. To date, Boon Rawd’s extensive product lines include beer, soda water, drinking water, ready to drink fruit juice, ready to drink tea, and ready to drink coffee. Boon Rawd produces and markets its products under “Singha”, “Leo.” and “Thai Beer” brand names. The company owns and operates three breweries and six soda water and drinking water factories located in strategic regions across Thailand. Boon Rawd’s strengths stem from its commitment to using the best ingredients, combined with its ability to apply the latest technological advancement in the brewing process to produce only the finest beer under full compliance with FDA regulations and approval of each country, including European and North American countries. Moreover, Boon Rawd’s vast distribution network further enhances its ability to serve clientele throughout the Kingdom and overseas. Now, apart from exporting Singha Beer to 25 countries world-wide, Boon Rawd has also acquired two breweries in Germany and entered into a joint venture in China, to establish production bases for the European and Asian markets. Through its commitment to produce the best beers possible, Boon Rawd’s products have, for the past 30 years, regularly received honors and gold medal awards from various institutions, both locally and internationally. The attainment of ISO 9002 is sure testimony that Boon Rawd continuously strives to keep up with the ever-changing environment and international standards. As an integral part of Thai Society, Boon Rawd actively participates in environmental support programs, educational scholarship programs, cultural events, traditional festivals, and sports sponsorships, which include football, tennis, golf and yacht racing. An ongoing supporter of the PC Classic, Boon Rawd Brewery is a co-sponsor again this year and the producer of “Singha Beer, the Original Thai Beer” proudly represents Thailand. Associated Press (AP), founded in 1848 - a year of revolution in Europe and therefore of great news-worthiness in the United States - is the oldest and largest news organization in the world. A non-profit cooperative of U.S. newspapers and broadcasters, AP provides global coverage of news, sports, business and entertainment in all media formats to some 15,000 news outlets in more than 120 nations. It is an invaluable source of news, photos, graphics, audio and video, for more than one billion people a day, providing distinctive news services of the highest quality, reliability and objectivity with reports that are accurate, balanced and informed. It manages the industry’s most sophisticated digital photo network, a 24-hour continuously updated online news service, a state-of-the-art television news service and one of the largest radio networks in the United States. The Pattaya Mail subscribes to the AP wire service, which is a valuable international addition to the more localized news coverage. Furthermore, a close relationship between the Bureau Chief Denis Gray and his staff in Bangkok and the Pattaya Mail guarantees that the Mail is abreast of breaking news stories. AP has received 47 Pulitzer Prizes and 28 photo Pulitzers, the most awarded to any news agency, services 121 countries, reporting in five languages - English, German, Dutch, French and Spanish - and is translated into many more. AP is happy to support the PC Classic for the second year, for the event, in media terms, does much to promote a positive image of Pattaya, specifically, and Thailand, generally. 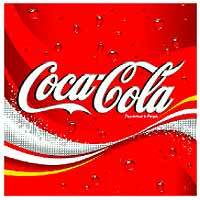 Coca Cola, a most prominent and generous supporter of many sporting events, joins the PC Classic 2005, this the fifth time as a major sponsor. In fact, there are very few sporting events where the Coca Cola logo is not prominent and the trademark red marquee at the Royal Varuna Yacht Club will be clearly visible to the sailors out at sea. The company has an extremely strict environment protection code, which guides its global philosophy that “responsible stewardship of environment is a top priority, for, by preserving and enhancing our natural world, we brighten the future for our planet and for each other”. Coca Cola puts this principle into practice through its Environmental Management System, known as the KO system. We operate our business with a commitment to move continually towards sustainability: striving to consume fewer natural resources and to recover and reuse them whenever feasible. These tenets are also the creed of every sailor who must rely solely on nature and the world of wind, wave and tide, to move along, as will be evident during the PC Classic Regatta. It would not be possible to find a more re-usable natural resource than wind power. It is also most satisfying to the organizers, participants, co-sponsors and the viewing public, that this regatta could be know as the “environmentalists’ dream”. Every sponsor is concerned about the world we now live in and, thus, it is understandable that yacht racing, one of mankind’s most environmentally friendly pursuits - is a high priority. Thus, Coca Cola is delighted to support this event again, knowing that it will promote a better, cleaner image of a family-oriented Pattaya portrayed to the world-at-large by the press and media coverage the race always attracts, with the added attraction that all proceeds from the regatta will be donated to disadvantaged people in the Eastern Seaboard areas, especially the children. As the sailors come ashore, there will, no doubt, be a stampede to the Coca Cola marquee by the young Optimist sailors and the not-so-young regular sailors, all wearing the splendid polo shirts donated by the Coca Cola parent company, the Thai Pure Drinks Company which also supplied all the soft drink for the Gala. The Carpet Master was founded by a group of professionals brought together by the common goal of excellence in the manufacture of carpets and rugs. With over thirty years of experience, Carpet Master’s team of designers and craftsmen create exquisite works of carpet art that grace the interiors of some of the most prestigious royal places, luxury hotels, corporate offices and private clubs throughout the world. The new Millennium is already proving an exciting time for Carpet Master as the company continues to diversify and expand the scope of operations. Whilst dedicated to the on-going evolution of the company as an innovative business and manufacturing entity, Carpet Master remains steadfast to the goals that have always defined the operating policy. This consists of a constant nurturing of the fine balance between art and technology in the production of carpets and rugs. It is strongly supported by a daring commercial carpets warrantee program for the domestic market, an uncompromising quality and service that adds an extra dimension of value to each and every product. Carpet Master is a co-sponsor of the 2005 PC Classic for the second time, regarding the regatta as a worthy activity, reflecting the company’s bid for perfection. 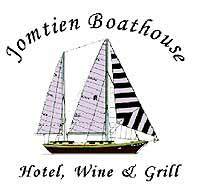 Opened in October 2002, the Jomtien Boathouse Wine and Grill is nautical to the extreme, beautifully fitted out with maritime memorabilia, artifacts and precious prints and photographs, as one would expect from Ib Ottesen, a former Danish merchant marine captain. Under the expert management of Ib and Kannikar Ottesen, one could say that all is ‘ship-shape’ at the Boathouse. Ib, however, gives full credit to the beautiful Kannikar for the fact that the Boathouse is even open, let alone doing so well. If the Boathouse, situated as it is next to a boatyard, is not nautical enough for some ‘Old Salts”, then try the splendid Residence Suites, opened in 1996 - where a number of delighted media and press stayed last year. Also try the gourmet’s delight, the Captain’s Corner, which opened in October 1997, and the adjoining Residence Garden, which opened in 2000. The complex is located behind Pratumnak Hill. The Boathouse is, indeed, a gem. Not only for the excellent food, seafront views over Jomtien Beach, beautifully appointed and most reasonably-priced rooms but also, as one would expect from Ib and Kannikar, there is a bar of unlimited libations - as more than one guest has learned. But it is not just these services which one would usually expect from a top-class exclusive (24 rooms) boutique hotel. There is also that priceless ambience which Ib and Kannikar infuse into the environment, whether it be a casual evening, a jazz-night special (where Ib often performs), the Elvis impersonation on Friday evenings or a social/charity event. Ib once related to this writer his (in)glorious start as a sailor, signing aboard a vessel at a very young age, to escape the restrictions of Denmark and “see the world”. Off went the young adventurer who, 10 days later, was very excited at the first landfall. Where was it? Still in Denmark! So he “saw the sea” on his “see-saw” maiden voyage. Ib occasionally alludes to PC’s Tasmanian ‘heritage’. But nowadays, he is a little more deferent in his references to Tasmania - or, to PC, for that matter - seeing that the future queen of Denmark is a Tasmanian! It is most apt that the Boathouse is supporting the PC Classic for the third year in succession. Not only is the organizing committee of the event most fortunate to have these two ‘aboard’, but it is Pattaya itself which shares the good fortune of having Ib and Kannikar amongst us. Aye, Aye, Skipper Ib and Admiral Kannikar. Anil Singh, General Manager of the Terminal, which is a co-sponsor of the PC Classic for the third time, points out that Laem Chabang Port almost happened by chance. In 1974, a proposal to build a port “in the middle of nowhere”, was tabled as an alternative to an-already over-crowded and congested port at Klong Toey in Bangkok. More than a billion US dollars had been invested by 1982 and “no one came” said Anil. Enter the burgeoning Industrial Estates on the Eastern Seaboard and an exponential growth in business, especially exports, and Laem Chabang was “off and running”. By 1998, manufacturers in the region realized that Klong Toey was no longer viable and all avenues led to Laem Chabang, which proceeded to import state-of-the-art technology and expertise. In just five years, the port, with its excellent infrastructure, has developed into a maritime hub, among the five most efficient in the world. LCB1 support for the PC Classic is based upon the Terminal’s own philosophy of “health, safety and conservation of the environment” - a perfect complement to the classic regatta. Winners covet trophies and now the good news is that a new trophy store has opened in Pattaya, with just an incredible range of possibilities – from humble medallions to “Mr Atlas” to custom-designed and specially made trophies for every possible type of activity – sporting, that is, in case a reader has the wrong impression. Managed by the attractive and dynamic lady, Sudthida Jaikid, also known as “Maprang” we are most fortunate that they have joined the 11th Pattaya Mail PC Classic Royal Cliff Beach Resort International Regatta for this year. A range of beautiful souvenirs of the event awaits the winners. 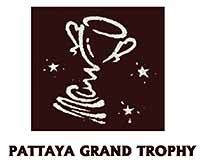 Pattaya Grand Trophy’s grand opening was held on the morning of September 12 with Chanyuth Hengtrakul, advisor to the minister of tourism and sports presiding over the ribbon cutting. Buddhist monks performed a traditional ceremony, where they gave their blessing to the new enterprise. Honored guests included Prasert Chaimano, Past District Governor of District 3340, Rotary International, and Judy Hoppe, President of the Rotary Club of Jomtien-Pattaya, plus many Rotarians and supporters. Maprang and her mother Sumon, Charter President of the Rotary Club of Plutaluang, introduced the shop. Almost all the items are prize cups, souvenir objects and all kinds of sports medals, trophies and shields. Maprang, who formerly operated a shop with her mother in Sattahip, said she opened her first shop in Pattaya because it is a popular tourist town where so many different sports are constantly enjoyed: golf, tennis, bowling, running, bike riding and, of course, marine-related sports. The organizing committee of the PC Classic has been using Maprang’s services for many years – even from Sattahip. Now, of course, it is right here and a delight to deal with Sumon and Maprang. Liquid Images has been in operation for nearly a year as a father and son team photographing local and international sailing events. Together they have created a stunning collection of images revolving around sailing, yachting and watersports. Most weekends Christoph and Josef Hoppen can be found enthusiastically taking part or photographing events off the shores of Pattaya, Thailand and Fremantle, Western Australia. 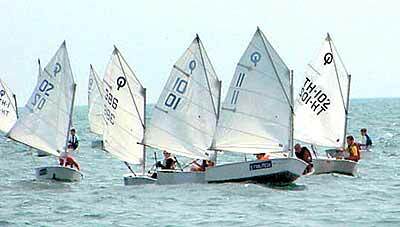 And now the team turns its tremendous talent into imagery of the most colourful Pattaya Mail PC Classic Royal Cliff Beach Resort International Regatta 2005, for the first time. Events recently covered, with pictures in the press, include the 2004 Phuket Kings Cup, the Koh Samui Regatta 2004 and various trips on the school training ship Leeuwin II. Christoph and Josef have been sailing and taking photographs for many years and with this project decided to combine these passions to share the images with those who are normally the subjects of their photographs: sailors. So far the feedback has been great; sailors of all ages have enjoyed seeing themselves and their boats in action. Similarly, corporate clients have been very happy with the pictures provided by liquid images. Whether a client requires photos of their product in action or a regatta needs to be documented, Liquid Images can provide stunning photographs ready for use in print or web formats. Should you or your corporation require photos of your product on the water or you are holding an event by the seaside or on a boat, please feel free to contact Liquid Images to see how their services can provide you with images that successfully communicate the features of your product or spirit of the event and its relationship with the wet element. The Royal Cliff, which celebrated its 30th anniversary in October 2003, has racked up a most impressive list of awards and accolades over these three decades, being the first and only convention hotel to be honoured with “Double Awards of Excellence 2004” by the New York Wine Spectator, the world’s arbiter in all matters relating to viniculture. The Cliff was also named as winner of the “Best Meetings and Convention Hotel for Asia, 2004”, by the Travel Trade Gazette Asia. Added to these was the CNN “Ultimate Service Award 2004 for Asia” and the “Award of Excellence in Best Convention Hotel Category” by the Tourism Authority of Thailand. Furthermore, during the 2005 sailing of the PC Classic which, like any sporting event, will honour its champion sailors, what could be a more appropriate award to the Royal Cliff than to be recently granted the “Environmental Champion Award”, by the Touristic Union International (TUI AG) Environmental Management team. This singular acclaim went to the Cliff Royal Wing and Spa “for its environmental awareness and its future-oriented management”. As Khun Panga pointed out at the 30th anniversary in 2003, “The past few years have seen the emergence of a new era for the Royal Cliff Beach Resort. From the openings of the Pattaya Exhibition and Convention Hall and the Cliff Spa in 1999, the resort has made great strides forward.” Our goal is “to ensure that we can comfortably cater to any type of guest – be they convention delegates, corporate travellers, families or your everyday holidaymaker,” Khun Panga reiterated. 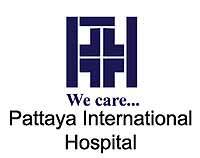 For the second year in succession, the Pattaya International Hospital (PIH) is happy to be on stand-by, with a first-aid station as a medical support for the PC Classic Regatta, which is bringing so much credit to our city. Although yacht racing is one of the “non-violent” sports and, using only Nature’s gifts - the wind and the sea - thus preserving our fragile marine eco-system, accidents can and do occur. At the last Phuket King’s Cup Regatta last December, for example, a freak accident occurred and, due to the swift and highly-professional action of our sister hospital, the Phuket International Hospital, undoubtedly a life was saved. Furthermore, the safety record of the PC Classic’s host venue, the Royal Varuna Yacht Club, is impeccable. In 48 years of sailing, cruising and yacht racing in the Gulf, in all kinds of weather conditions, there has never been a fatality. Safety and security are at the top of this excellent Club’s agenda. Nevertheless, the PIH will be at the ready, on station, with a fully qualified medical team, the best equipment and an ambulance ever ready, should there be an emergency. PIH is one of Thailand’s most modern medical centres, offering 80 in-patient beds, 24 hours emergency service, and a full range of advanced facilities, including intensive care, obstetrics, x-ray, laboratory, pharmacy, a dental clinic, fully-equipped operating theatres and a physical therapy centre. Internationally trained and experienced doctors give personalized care, backed by the latest medical technology. PIH is in a convenient but quiet location, where in-patients can recuperate in cheerful, private rooms that overlook a tropical garden. Doctors, senior nurses and admissions staff are all fluent in English. A computerized medical records system is used to record every aspect of a patient’s care, from initial consultation right through admission (if necessary), treatment and dispensing of medications from the pharmacy, to final billing. PIH has a 24-hour emergency service with its own fleet of ambulances, and resident doctors are always available to offer efficient, personalized care. Besides their world-renowned medical services, PIH Managing Director, Dr. Sunya Viravaidya MB. BS. (Melb) emphasizes some of the newer, more cosmetic programmes: sailors, often noted for a “tipple or three” can avail themselves of such facilities as Detoxification, a Weight-Loss Clinic and a Beautification Programme - especially if they over-indulge on the Royal Cliff’s splendid hospitality on Regatta night this year. A newcomer to sponsorship of the PC Classic is a most appropriate one: Le Rotary Club Pattaya Marina, the first – and only – francophone Rotary Club in all of Asia. 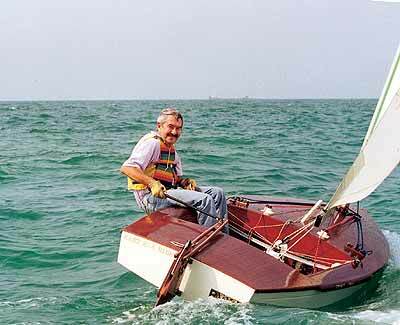 The founder, Nicholas Demet, has been a ‘boating’ man most of his life, though he admits, powerboats rather than sailing craft, being a marketing executive for several brands. Founded just four months ago by Nick, the club has already been most active and generous with the tsunami victims, especially the people of Ban Nam Kem, a fishing village in Phangnga Province which took the full force of the mountain of water and was completely demolished. Upwards of one million baht was quickly collected by the Club Pattaya Marina and disbursed with all speed to the hapless people, to help them work, and to provide food for the suffering families. Quick to follow, just one month ago, four new boats, replete with fishing equipment, were delivered to the people of Ban Nam Kem. This will be followed within this month by additional equipment, including boats, vehicles and construction materials. This new club meets every Wednesday at Le Petit Liegeois, a Belgian-managed eatery on Walking Street, South Pattaya. Just a few days ago, Nick, along with Rotary Club Pattaya Marina President-Elect, Pierre-Yves Eraud, hosted a dinner at the Royal Varuna Yacht Club for members of the Eastern Seaboard’s four Rotary Clubs, for a seaside fellowship to meet Frederique and Benoit Eraud who are visiting Thailand from their native France and to institute a reciprocal agreement between the Royal Varuna Yacht Club and their home club, the Yacht Club of La-Baule, on the coast of Bretagne. No doubt, given the entirely different climates, sailing conditions and types of craft existing at these two clubs, this agreement is going to be a classic “marriage of convenience”. Both Nick and Pierre-Yves, along with many other Rotarians, are looking forward to the 11th Pattaya Mail PC Classic Royal Cliff Beach Resort International Regatta, with the Rotary Club Pattaya Marina being a major sponsor of the event – again helping the disadvantaged. Retech Energy is an ardent supporter of the PC Classic which, through the use of Nature’s own power for locomotion, aptly personifies the company’s own philosophy of recycling and using pollution control technology. Yachts must be the world’s greatest users of renewable energy - the wind, in this case. According to Hans-Dieter Westphal, Managing Director of Retech Energy, the main objective of the company is the supply of technology and industrial-scale plants for the recycling of renewable energy and industries. These include a vast range of recoverable resources such as waste-to-energy, biomass-to-energy and other such economical pollution control technology. Retech Energy evolved in 2004, in order to focus on Thailand’s rapidly-developing opportunities in this business field, closely monitoring planned projects and their logistics, as well as policies drafted by the various government agencies or independent institutions, offering support by providing assistance from acknowledged international partners. Retech realizes that global warming is real, serious and accelerating. A large amount of the offered technology is dealing with this undisputable fact and focuses therefore on non-fossil fuel combustion in order to decrease the amounts of carbon dioxide and other greenhouse gases trapped in the earth’s atmosphere. This is achieved through offering technology to lessen the impact of a broad range of waste elements and byproducts created by industry, households and the agricultural sector. Utilizing technology to convert such waste into solid, liquid or gaseous fuels for thermal, mechanical, or electric energy generation, Retech Energy assists in implementing sustainable programs by technology supply for renewable energies, based on agricultural produce. Certain energy crops and other biomass can be converted into fuels like Bio-diesel, ethanol, solid pellets and briquettes, or gas. Retech Energy is readily committed to cooperating with international suppliers and provides the expertise to promote their technology and industrial scale plants here in Thailand. With the stage set for the first-ever Skål International Convention to come to Pattaya in early 2006, it is appropriate that the local Skål chapter supports the 2005 PC Classic, itself a magnet for eco-friendly tourism, through the medium of an environmentally-friendly regatta. 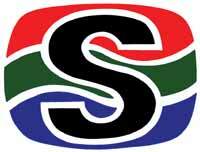 Skål is a professional organisation of tourism leaders around the world, promoting global tourism and friendship. It is the only international group uniting all branches of the travel and tourism industry. Its members, the industry’s managers and executives, meet frequently at local, national, regional and international levels, to discuss and pursue topics of common interest. Skål International today has approximately 25,000 members in more than 525 Clubs throughout 80 nations. Most activities occur at local levels, moving up through national committees, under the umbrella of Skål International, headquartered at the General Secretariat in Torremolinos, Spain. 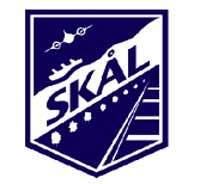 Membership to Skål is open to managers and executives who are directly involved in tourism management, sales and promotions, in specified travel and tourism businesses, including: transportation (airlines, cruise lines, railways, ferries), travel and tour operators and agencies, tourism organisations, governments and non-government tourism councils, hotels, convention centres, travel media, etc. Skål is not a community organisation like Rotary or Lions; rather it benefits and develops the professional sector, while assisting the community at large. For further information or to find the Skål Club nearest you, see http://www.skal.org or contact: Skål International, Edificio Espaåa, Avenida Palma de Mallorca 15 - 1å 29620 Torremolinos, Spain. 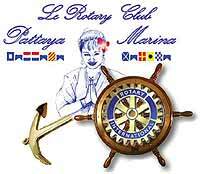 Initially, Rotarians and members of the Pattaya community had a common vision. They saw that Pattaya was ready for an English-speaking Rotary Club, foreseeing that the region - especially the Eastern Seaboard - was rapidly developing into an international community. 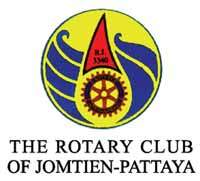 They predicted (rightly) that there would be a huge influx of people who had or would have the same vision as Rotarians and were thus ‘seeking an opportunity to serve.’ The Rotary Club of Jomtien-Pattaya was thus founded and chartered on February 12, 1987. In 1955, on the 25th anniversary of the founding of the Bangkok Rotary Club, His Majesty King Bhumibol Adulyadej the Great graciously agreed to be Honorary Patron of the Thai Rotary movement. This represents the highest possible favour for Thailand’s Rotarians and, since the Rotary Clubs of Thailand were placed under Royal Patronage, His Majesty has continued to take an active and positive interest in Rotary activities, based on his deep understanding of the principles of Rotary. Judy Hoppe, the incumbent President of the Rotary Club of Jomtien-Pattaya, a most active and enthusiastic worker for the public good, is also Chairperson of this year’s PC Classic organizing committee. This, for all concerned, is a great “marriage of convenience” for, from her vantage point, Judy is able to solicit much support for the Classic. But, perhaps, more importantly, through her Rotary directorship she will ascertain that all Regatta proceeds are disbursed, with the transparency that Rotary guarantees, to the most needy - especially the children - in our area. It is our sincere promise to fulfil all contracts, commitment and responsibilities to ensure that our clients and associates will always have the satisfaction of knowing that they have the best possible deal from MS Maker & Supply. Our clientele can rest assured that when it comes to quality, MS Maker & Supply products and services are your guarantee of excellence over and above the prevailing standards. Thus, we are committed to providing high quality products and service that are well established in the market and in full compliance with the prestigious quality system. Ms Maker and Supply is pleased to join the 2005 PC Classic as a co-sponsor, in the knowledge that the Regatta is an excellent conduit for promoting a positive image of Pattaya to the world-at-large while it is also dedicated to bringing assistance to the needy of our area, through the donation of all proceeds to charities. Although the Royal Garden Plaza Pattaya is a first-time sponsor of the PC Classic, the Pattaya Marriott Resort and Spa is certainly no newcomer to sponsoring yacht racing which fits well with its own eco-code of conduct recommended to tourists. For the past 15 years, in fact, the Marriott has generously supported the annual Koh Larn Classic which, just finished for this year, combines a yacht race from Royal Varuna to Koh Larn and back and a Hash run over Koh Larn. It is undoubtedly one of the most popular events in a year-round schedule of racing off Royal Varuna. Thus the members of this year’s PC Classic organizing committee welcome the support of the Royal Garden Plaza, which is a truly international arcade. The four story beachfront shopping center is located in the heart of Pattaya City, featuring an excellent mix of tenants, promoting fashion, food and entertainment. It must be one of the rare places in the world where one can select from a huge range of audio and hi-fi materials, while looking out at the vast blue expanse of Pattaya Bay. The Royal Garden Plaza, opened in February 1994, is strategically located between Pattaya’s most prominent arteries, Beach Road South and Pattaya 2nd Road, giving it excellent exposure to the northern and southern areas of Pattaya. It is open twelve hours (11 a.m. - 11 p.m.) every day, with over 300 underground parking spaces. With a total floor area of 41,808 square meters of which 15,379 square meters is rentable, including 1,200 square meters of new Food Wave and fine dining restaurants on the 3rd floor. The ground floor features international brand retail shops and fast food chains. The first floor has international brand retail shops and a souvenir zone while the second floor comprises Ripley’s World of Entertainment, cinemas, and lifestyle and retail outlets. The top (3rd) floor has fine dining restaurants, tennis court, a spa and a fitness center. The Plaza is owned by the Minor International (Public) Company Limited which consists of three publicly listed companies involved in leisure and hospitality property development and operation, marketing and distribution, manufacturing and food services. Pattaya Office: 218 Moo 10, Beach Road, Pattaya, Chonburi 20260, Tel: (038) 710-294-8 Fax: (038) 412139. The company expanded their business from 24 to 30 and then to 60 channels in 2005, with a vast variety of programmes, such as international news, local news, movies, music, sports, cartoons, and more. The idea in developing the cable TV system in Pattaya is to service people in communities, the private and public sectors, as well as those related to tourism and commerce. Now, Sophon Cable TV is developing rapidly along Sukhumvit Road, in Banglamung district, Pattaya City and parts of the Naklua areas. Future expansion will be aimed at developing cable TV towards a modern signal system and a variety of services, such as free Internet networking, individual programmes and more packages from which our clientele can select. Furthermore, the company plans to develop the local service in Pattaya City, from the CCT system to live broadcasts of Pattaya Council meetings, and to connect many activities in the community. This first-time co-sponsor of the PC Classic promotes the best outlook in the Jomtien-Pattaya area, occupying a residential villa estate project, situated on the last available hill off Soi Khao Talo. Villa plots overlooking the sea offer a skyline view of Pattaya and Jomtien Bay, featuring picturesque sunsets and a cool sea breeze. There could hardly be a better viewing platform for watching the PC Classic action – except, of course, being on the sea itself! The villas, comprising two to five bedrooms, are beautifully designed, with each unit having a private pool. All dwellings can be customized to suit your lifestyle, featuring built-in kitchens with GE and Franke appliances. Additional options and furniture packages are also available. A unit built specifically to your own request and requirements can be constructed in six to 10 months, depending on size, specifications and variations. Ready-to-move-in villas will also be available from April 2005. The location of the estate is most convenient – just five minutes from Tesco-Lotus and Big-C Sukhumvit Rd., and within 10 minutes of Pattaya and Jomtien Beach. 20 golf courses and seven international schools can be reached within 20-55 minutes from the estate, and Bangkok’s New International Airport will be just one hour away. Among the many desirable features of the estate are convenient and majestic entrances to the individual units, five-star resort facilities (spa, restaurant, swimming pool, etc. ), a large saltwater pool with sandy beach, and services include rental management and ongoing maintenance. The Constructions: European building standard with top quality materials and products, under constant professional supervision. The Figures: Plots range from 300 m2 (75 wah2) – 1,600 m2 (400 wah2). Finance available. Office address: 143/47-48, Moo 12, Thepprasit Soi 10, Thepprasit Road, Banglamung Chonburi 20260. Site Address: Soi Khao Talo, opposite Wat Bon Samphan School (Wat Khao Noi) Sukhumvit Road, South Pattaya. No airline is more Swiss than Swiss. For our customers, this means such classic Swiss values as reliability, cleanliness and hospitality. Swiss understands the needs of customers across the travel spectrum. If you’re planning to fly between continents, we offer you the luxury and exclusivity of Swiss First, the comfort and calm of Swiss Business, or the friendly service of Swiss Economy. Whatever option you select, you can count on enjoying the personal service on which we pride ourselves. From the moment you make your booking until you step off the aircraft, we’ll focus on your needs. Brian Sinclair-Thompson, Swiss International Air Lines Country Manager, is pleased to support the PC Classic for the second year, for he feels that the beauty of a yacht race and its environmentally-friendly approach complement Swiss International’s own philosophies of good organization and cleanliness. Sailing to win requires teamwork, dedication to excellence and a sound, well planned strategy that remains flexible enough to respond to ever-changing conditions. A savvy captain knows how to get the best from his people and take advantage of every opportunity. Business Owners share this ambition, which is why Bartercard has become the trusted first mate to more than 1,800 companies in Thailand and more than 50,000 companies in 16 countries around the world. Bartercard’s dedicated team helps companies build sales while preserving cash and we are pleased to announce that we are now open in Pattaya to help Business Owners here do the same. Give us a call on 038-422190 to see how Bartercard can help you steer a winning course. As a regular sponsor of the PC Classic, Bartercard thus has expanded its support of events on the Eastern Seaboard, having, for several years, also sponsored the annual “Tuk Tuk (Samlor) Rally”, Bangkok to Pattaya. Bartercard has a global reach with more than 50 offices world-wide. Graham Brain, Managing Director of Bartercard (Thailand), considers it to be “the world’s largest and fastest-growing retail barter exchange organization”. Barter Card is a generous supporter of the yacht race and is, thus, happy to sponsor again the PC Classic, an environmentally-friendly activity which promotes Pattaya and the Eastern Seaboard, to everyone’s mutual benefit – especially the needy in the area. Seit nunmehr fast zwei Jahren hat sich die Idee, eine w๖chentliche Nachrichtenzeitung in deutscher Sprache herauszugeben, als hervorragend bewiesen. Denn das Konzept von Pattaya Blatt, das Sprachrohr für alle Deutschsprachigen in Thailand zu sein, erfüllt die Bedürfnisse der deutschsprachigen Gemeinde nach Nachrichten, Informationen, Unterhaltung und Ereignissen in und um Pattaya, an der Ostküste und in ganz Thailand, aber auch als hervorragender Werbeträger voll und ganz. Zwei Jahre harter Arbeit waren von Erfolg gekr๖nt. Pattaya Blatt wurde bereits Anfang diesen Jahres zur besten deutschsprachigen Zeitung der Ostküste prämiert. Dazu trugen die gute, faire und sachliche Berichterstattung, ausgezeichnete Informationen, sowie der interessante und abwechslungsreiche Unterhaltungsteil mit bei. Pattaya Blatt hat eine treue Leserschaft, die, im Inland wie im Ausland, mit jedem Tag größer wird. Mit einer Auflagenhöhe von 6.000 Ausgaben pro Woche, wird alleine in Thailand eine Leserschaft von ungefähr 20.000 Menschen angesprochen, die nun die neuesten Nachrichten in ihrer Muttersprache lesen können. Pattaya Blatt hat seit seinem Bestehen bewiesen, dass es sich für die Belange der ausländischen Mutbürger in Thailand einsetzt, aber ihnen auch gleichzeitig die thailändische Kultur und Tradition nahe bringt. Gleichzeitig wird Thailand von Pattaya Blatt in der alten Heimat in einem positiven Licht prDsentiert und stellt somit einen wirksamen Werbeträger für die Wahlheimat vieler Deutschsprachiger dar.